Call Teresa Greenman, CCG’s Coordinator of Education and Field Operations, to place your order at 415-738-2326. I know many are frustrated, if not angered by this outrage and the steady stream of news about marriage falling in state after state. While the attorneys are battling in state after state, people want to do something to stop the hemorrhaging, but just aren’t sure what to do. Doing nothing is unacceptable. There is no better time to start the campaign in your parish and community for the long road to take back marriage. We have small easy steps. Here is the plan. First step: distribute literature in your parish to help people understand the consequences of the breakdown of marriage and how to explain what marriage really is. This is establishing a process that is not against anyone or anything, but a process that builds and informs people about the truth and how to witness it. This is the work of evangelization of culture as Pope Francis has described it. The USCCB asked me to write a pamphlet for them called “Explaining the Reality of Marriage to Family and Friends”. It is perfect for starting this job. It provides a valuable introduction that we need to get into the hands of as many of our fellow parishioners as possible. 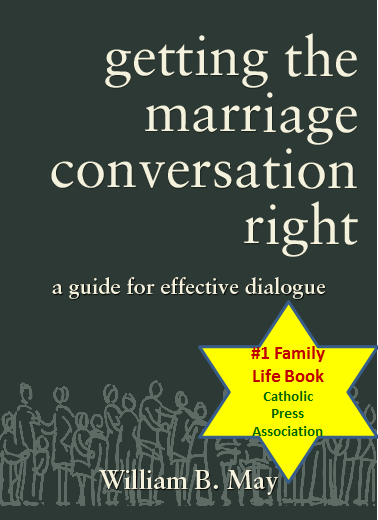 It’s a resource that illustrates the truth and beauty about marriage in non-religious language and demonstrates how the corrupted understanding of marriage today is putting our children at risk. “Who would choose that their grandchildren should be deprived of mothers and fathers united in marriage”, as the pamphlet reads. Your pastor should feel comfortable distributing the pamphlet in your parish, because it is positive and produced by the U.S. Catholic Conference of Bishops. This should be easy, but very impactful because it will help people who are struggling with the issue. As marriage is redefined in state after state, we cannot stand by and do nothing. Respectfully ask your pastor for permission and offer to help with the distribution. Make it easy for him. For Sunday masses, offer to get a group of friends and stuff the pamphlet in the bulletin. Or, offer to have a table where people can pick one up as they exit the church. Another effective approach that some are doing is to seek to have the pamphlets inserted in packets going home to school parents. Distribute the pamphlets at meetings of parish organizations. Whatever you decide to do, be sure to also leave some in the parish bookrack. However, don’t leave too many at a time. People who don’t want the truth about marriage to be known will likely steal them as they have in other parishes. So just put a few out when you see the rack empty. These brochures are very inexpensive, as little as 12 cents apiece for an order of 1000. Call Teresa Greenman, CCG’s Coordinator of Education and Field Operations, to place your order. You can reach her at 415-738-2326. Friends, this is incredibly important work, so important that you will keep hearing about it throughout 2014. 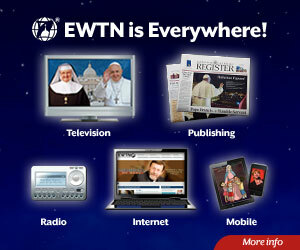 We are using the method that Pope Francis spoke about in Evangelii Gaudium. Rather than confront and engage in conflict expecting immediate results, with your participation we are organizing processes grounded in reality. This reality will have power over ideas such as the redefinition of marriage. This process for justice and the good of human-kind gives us peace while enabling us to witness the truth in little steps in ways that people can understand. More tools and resources are coming to assist you in this work. We are up against powerful forces and it’s going to take trust in the Holy Spirit and the participation of everyone who knows the truth about marriage to get involved. Please gather with your friends and take action today.